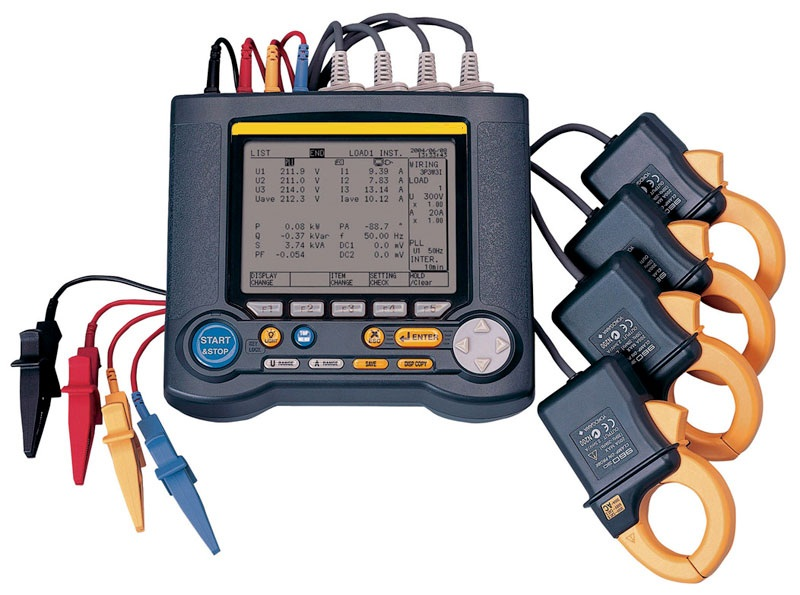 Power Analyser is used to measure the electrical parameters including Volt, Amps, PF, kW, kVA, kVAr, Hz etc. It has detachable CTs and VTs which are connected to 3 phase and single phase lines. It can be used in both LT & HT connections without any interruption in power supply i.e. can be applied on line. 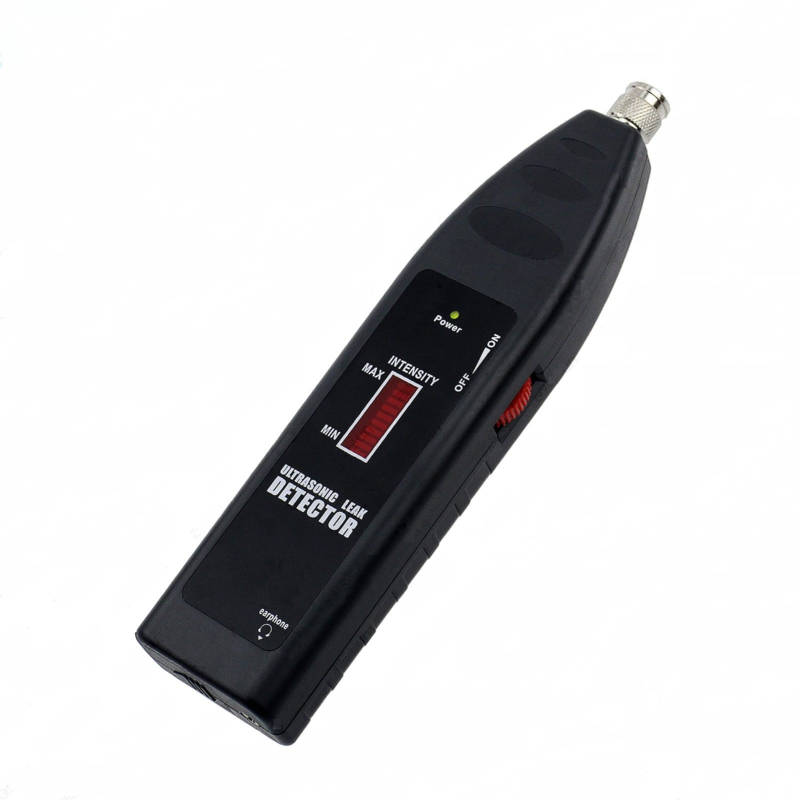 Some of the Power Analysers can record the measured data over a long period which can be downloaded in PC using appropriate connector and software. Some advanced instruments are also available that can measure harmonics. 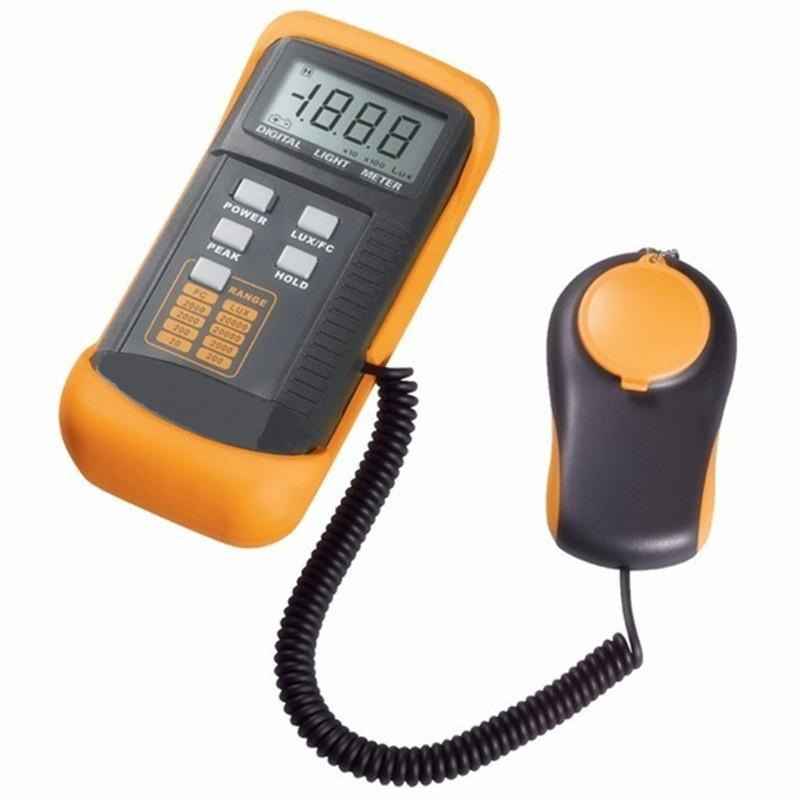 Clamp Meter is used to measure the electrical parameters including Volt, Amps, PF, kW, kVA, kVAr, Hz etc. It has CT and VT which are connected to 3 phase and single phase lines. It can be used without any interruption in power supply i.e. can be applied on line. The Pitot Tube is an useful instrument to measure the air or fluid flow velocities in a duct, channel or pipe. Pitot Tubes are not recommended for low velocity flow. Due to low dynamic pressure, the readings might have significant error. This instrument is being used to measure the temperature of a heat source without making any direct contact with it. 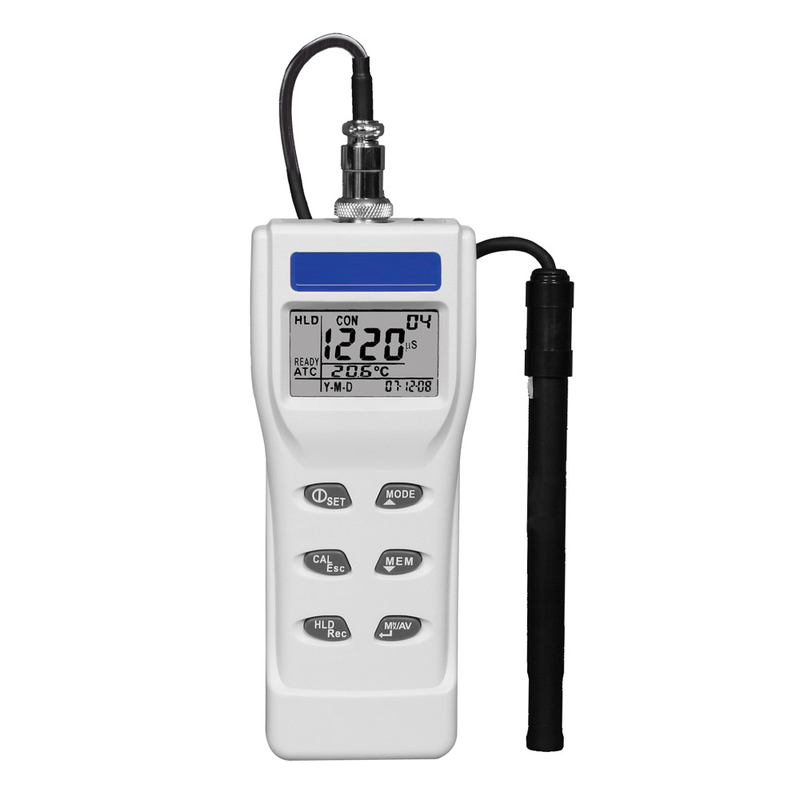 This instrument is ideal to measure skin temperature of kilns, furnaces etc. 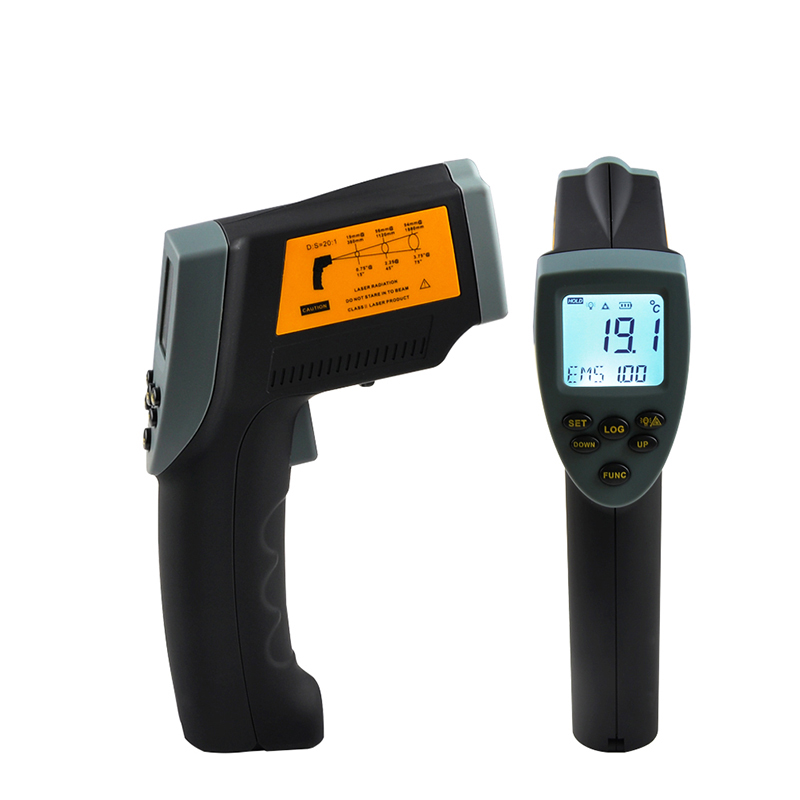 Infrared Thermometers are available with various temperature ranges for different application. The water flow meter uses Doppler effect or Ultrasonic principle to measure the water flow rate. It consists of a transmitter and receiver which are placed in contact of the pipe. Flow rate of water and other fluids can be measured using this device. 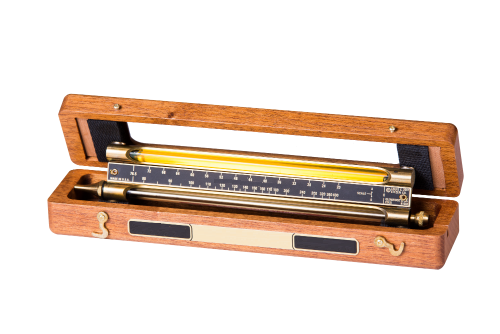 Stroboscope is an instrument for measuring the frequency or RPM of a rotating object. It emits a series of brief, intense flashing lights at specific intervals.when the no. flashings per minute adjusted equal to the RPM of the rotating object, the rotating object appears to be stationary. 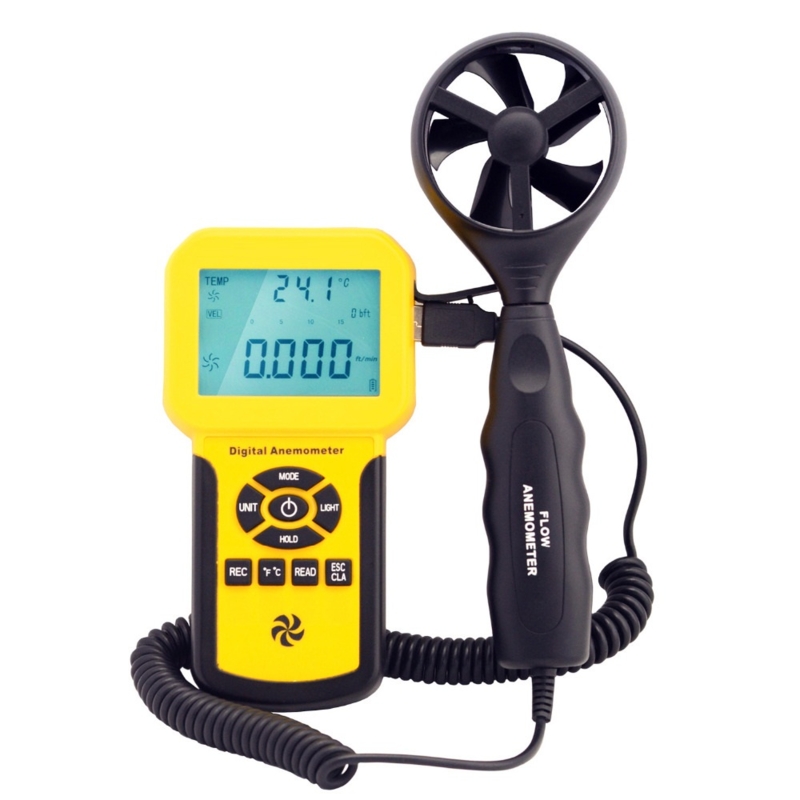 An anemometer is an instrument used to measure the speed of air or other gases. It consists of a fan that is being placed in direction of air or gas flow. It can be used for both contained flow e.g. air or gas flow in a duct, and unconfined flow e.g. atmospheric wind. Air flow speed of fans, blowers etc. can be measured by using this instrument. Hygrometer is an instrument used for measuring the relative humidity or amount of water vapour in air. Some instruments also shows the Dry Bulb Temperature and Wet Bulb Temperature in addition. 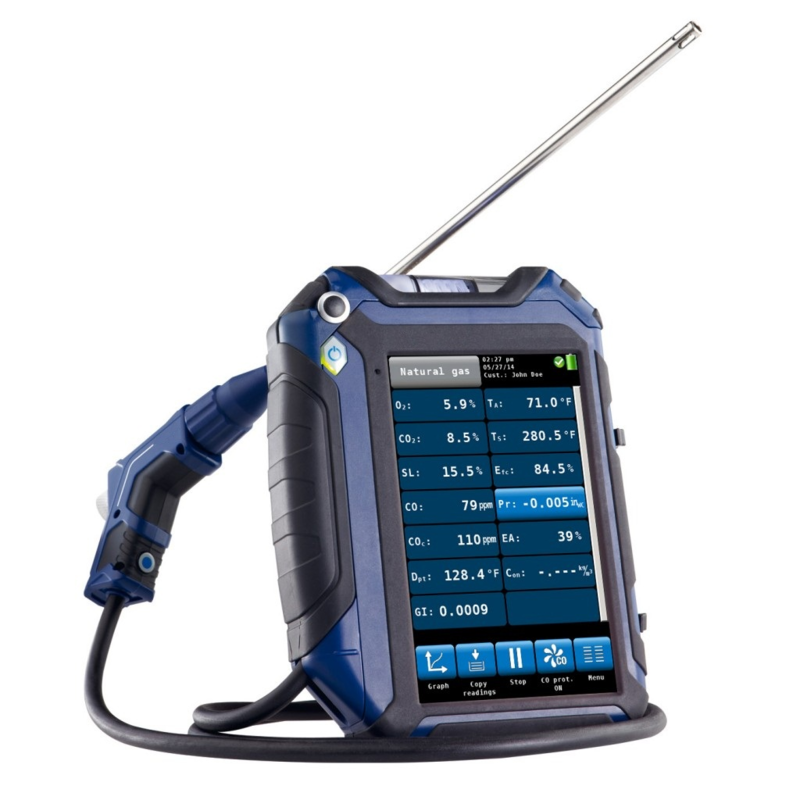 Flue gas analyser is used to measure the contents of various components of flue gas/exhaust gas caused by fuel combustion. This instrument has in-built chemical cells for measuring various gases such as O2, CO, CO2, SOx and NOx. This also measures the tempearture of the flue gas. It has a long probe that should be inserted in the duct where the flue gas flows for sample collection. Ultrasonic Leak Detector is used to detect leaks in compressed air line or other gas supply line. Leaks emit sound, however in case of smaller leaks, the frequency is too high for human ears to detect it. Ultrasonic Leak Detector converts these sounds into an audible range for easy detection. Tachometer is an instrument which can be used to measure the spped of rotation or RPM as well as linear speed where direct contact with the rotating or moving object can be done. Tachometers are widely used to measure rotational speed of motors, conveyor belts, and other moving or rotating systems. 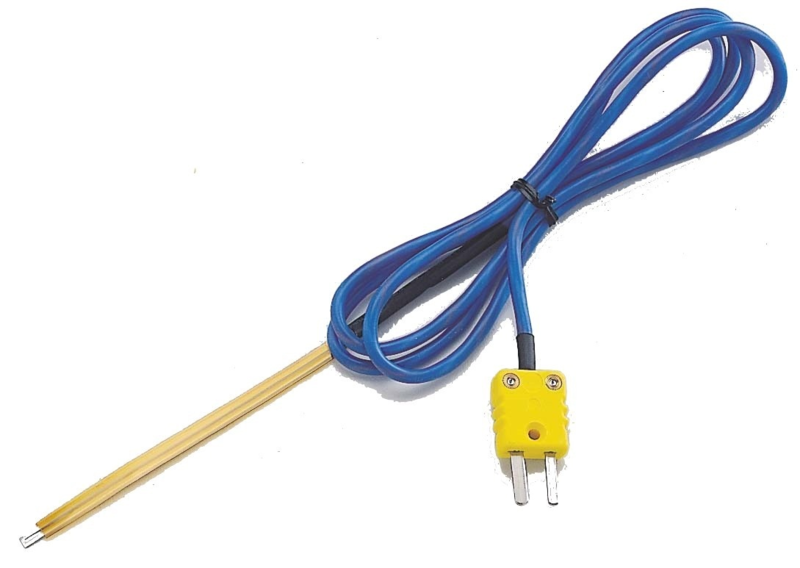 The K Type Thermocouple is the most common type of thermocouple. Being inexpensive, it is used in various places where contact required for measurement but hazardous for instruments like temperature of water sump or water having sodic content etc. Commonly the junction is made of Nickel-Chromium or Nickel-Alumel. 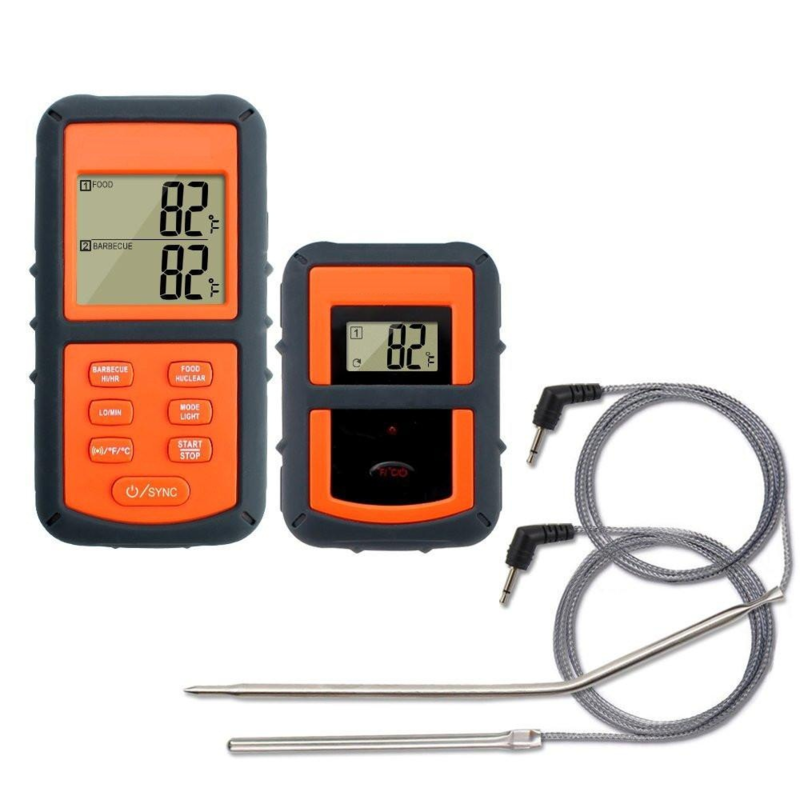 These can be easily connected with majority of the infrared thermometer or digital contact thermometer. Lux meter is a widely used device to measure the illumination level of a lighting source or combination of sources. It consists of a photo cell which senses the light output, converts to electrical impulses displays the illumination level in lux. 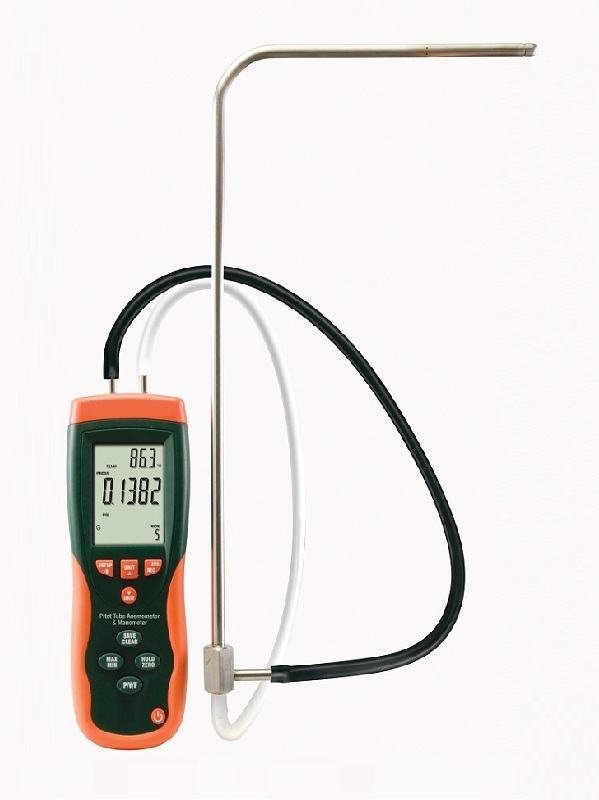 The Contact Thermometers are used to measure temperatures of flue gas, hot air, hot water etc. These are consists of a thermocouple enclosed in a probe which can be inserted in flue gas, hot air, hot water etc. to measure the temperature. These are available with various temperature ranges for different application. 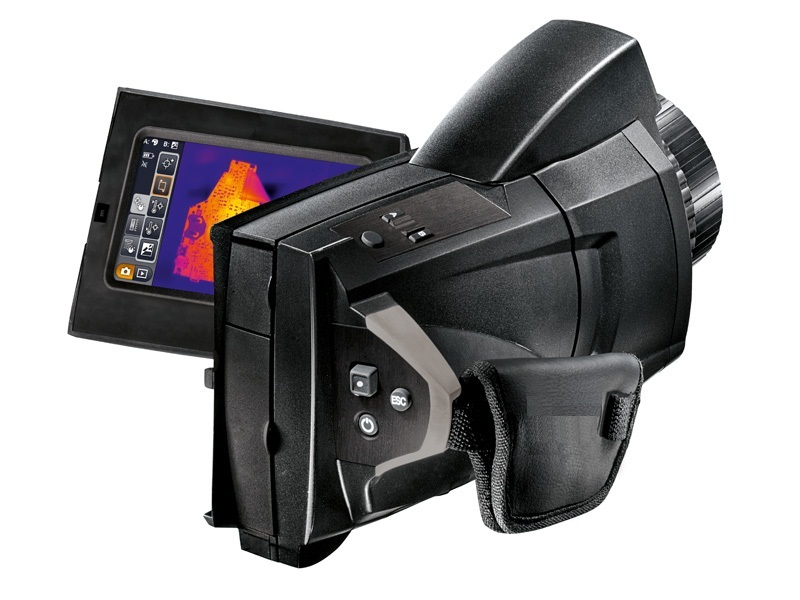 Thermal Imagers are used to discover thermal anomalies or analyze thermal processes. 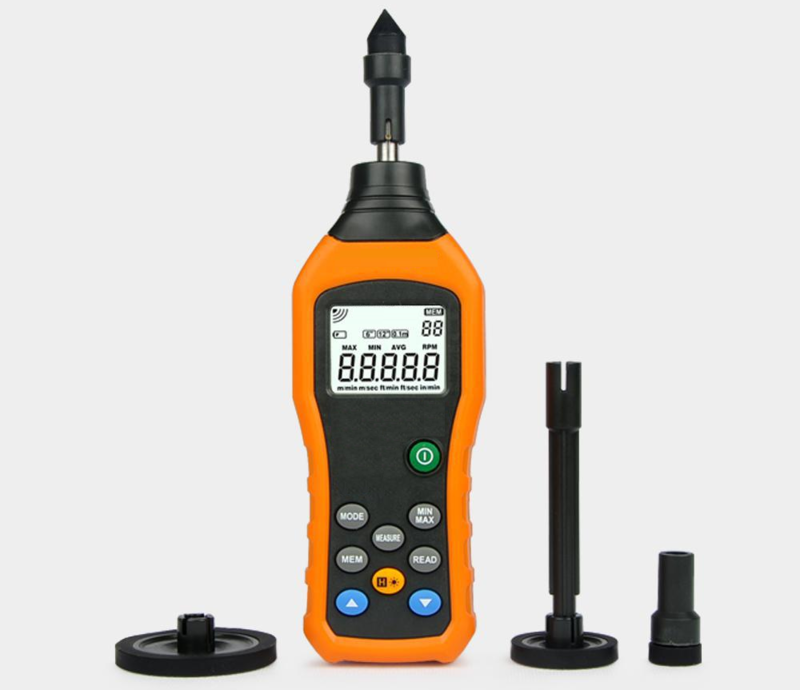 It is the safest and fastest method as no surface contact is required for measurement and the device displays the hotspots, defects in insulation, openings etc. instantly in infrared mode as well as normal mode. The device also capable to record video and capture photo of the observed surfaces. This device is available for various temperature range for different application area. 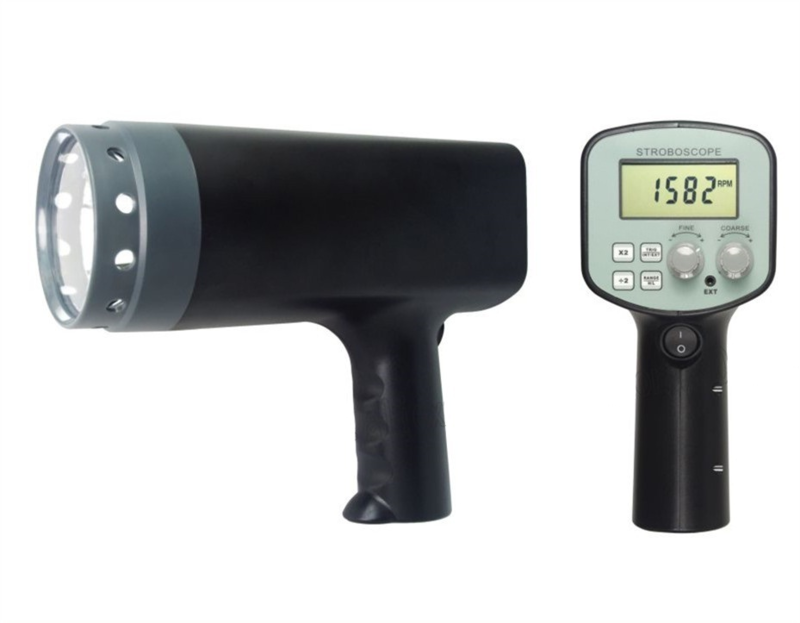 Visguage is a hand held equipment for onsite measurement of oil viscosity. There is no calculation etc. required and the result can be obtained immediately. Visguage can be used to check any oil like light spindle oil, transformer oil, lubrication oil, heavy gear oil etc. It compares the viscosity of the sample oil with an oil of known viscosity. The reading shows viscosity in centistokes at 40oC if the sample is in room temperature (27oC). Lube Oil Test Kit measures a lubricants key properties like viscosity, water content, salt content, base number (alkalinity) and insolubles. This is important in ensuring smooth and efficient running of machineries. Lube oil tests are carried out to monitor the deterioration of lube oil, check for contamination with other oil, water and bacterial attack, avoid damage to the lubricating part of the machinery, determine any leak or source of contamination of oil and assess the performance of the lube oil. 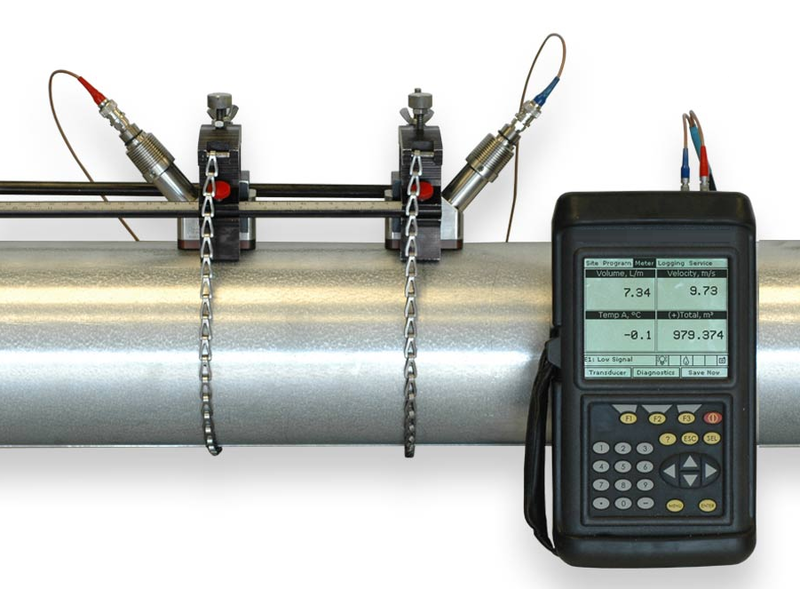 Digital manometers are versatile, handheld, and battery operated manometers used to measure the pressure and pressure differentials. It consists of two ports, negative and positive with piping arrangement. For measuring single positive pressure, connect the positive port to the positive pressure zone and vent the opposite port to the atmosphere. For measuring differential positive pressure, connect the lower positive pressure to the negative port and the higher positive pressure to the positive port and the device calculates the pressure differential. 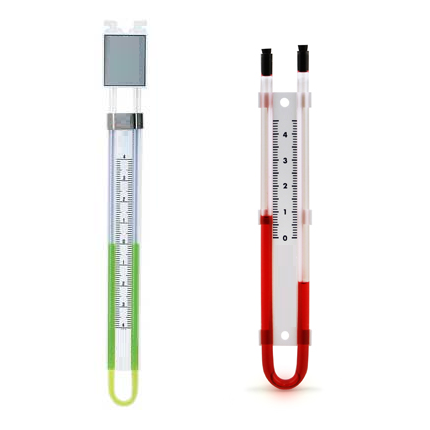 U-Tube Manometer is a commonly used instrument to measure the differential pressure. It consists of a u-tube with piping arrangement. Each end of the tube are connected with pipes from the two different pressure zone. The scale on the tube itself shows the pressure difference. It can be used to measure simply pressure when one side is open to atmosphere. A pH meter is a scientific instrument that measures the hydrogen-ion activity in water-based solutions, indicating its acidity or alkalinity expressed as pH. 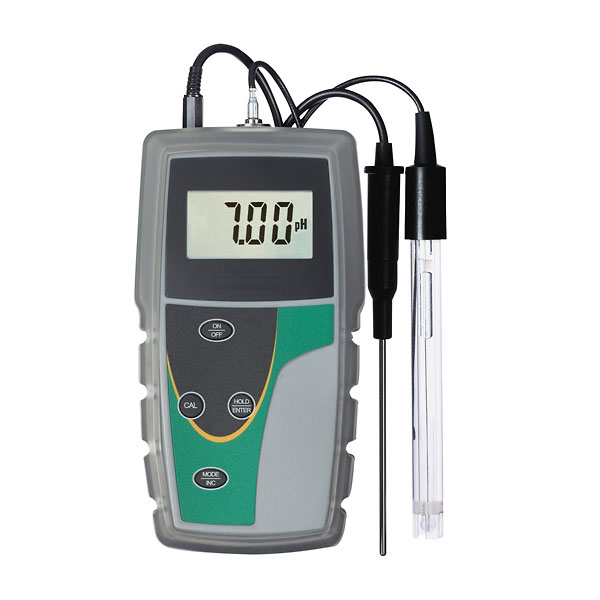 Portable type pH meters are available for onsite measurement. Some advanced variants have RS232 output, Data Hold, 0C or 0F selectable, auto turn off, overload indication, automatic or manual temperature compensation etc. An electrical conductivity meter (EC meter) measures the electrical conductivity of a solution. It is commonly used to measure the amount of salts or impurities in the water. 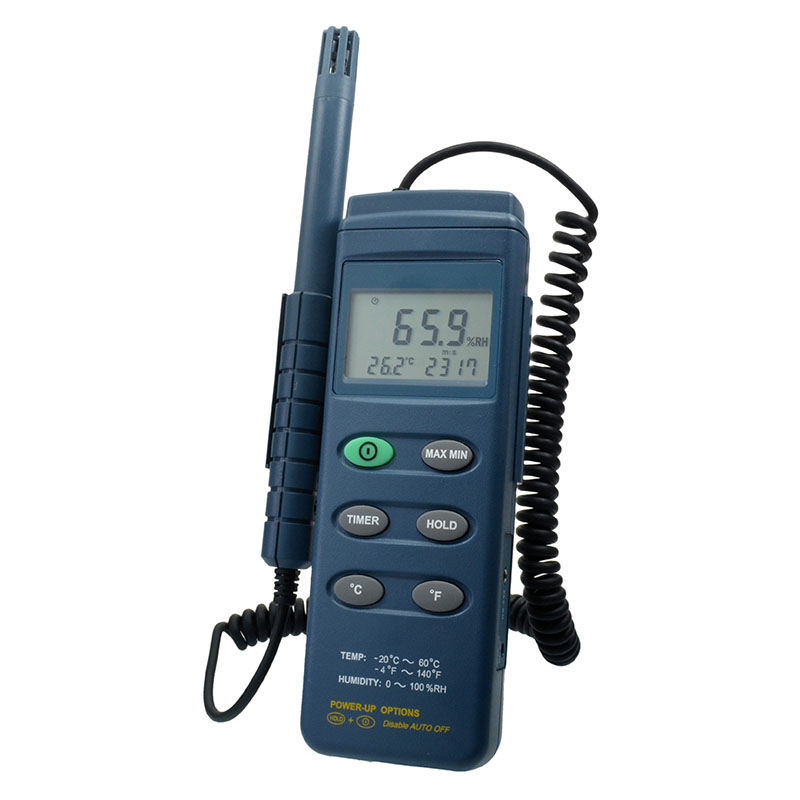 Portable type EC Meters are available for onsite measurement. 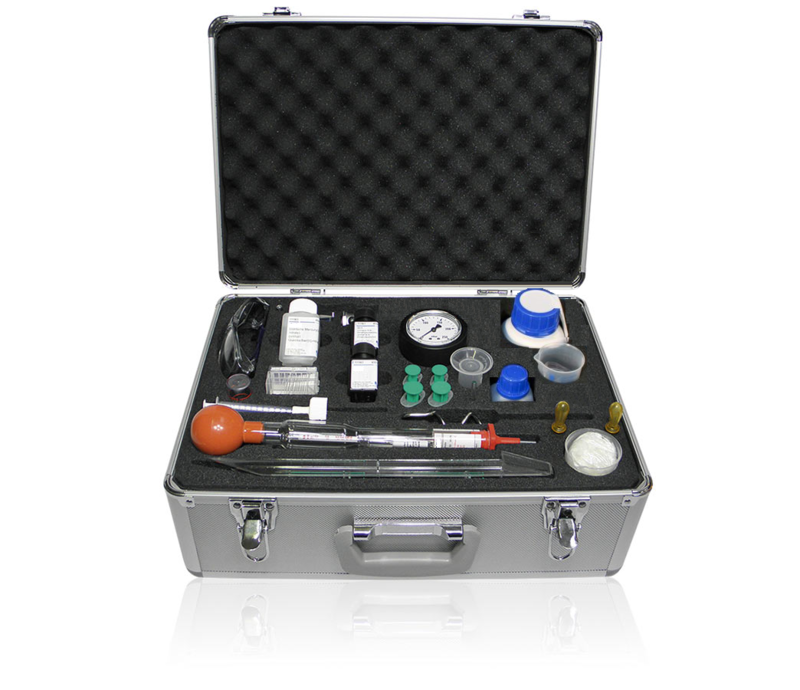 These are equipped with a probe and when the probe is inserted in the liquid to be measured, the meter applies voltage between two electrodes inside the probe. Electrical resistance from the solution causes a drop in voltage, which is detected by the device. This value indicates the total dissolved solids. 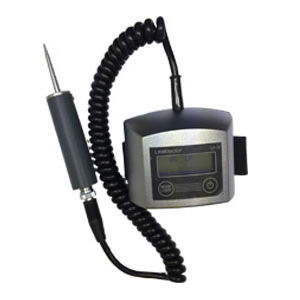 Devices are available which indicates both Electrical Conductivity and TDS. 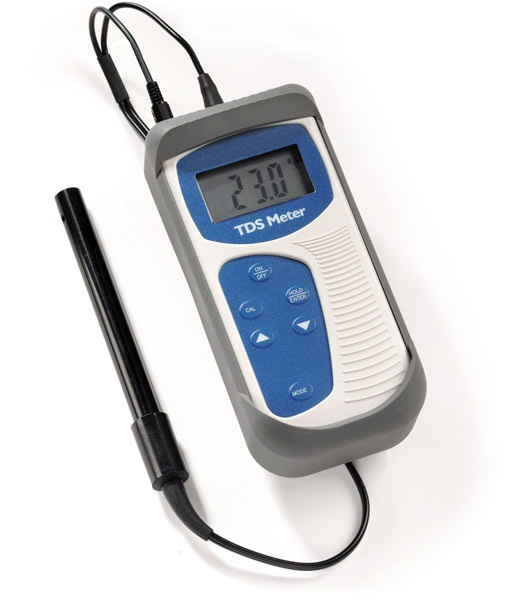 A TDS meter indicates the total dissolved solids (TDS) of a solution, i.e. the concentration of dissolved solid particles. TDS is a volume measure of ionized solids and for that reason EC can be used to estimate TDS. Pure water has virtually zero conductivity. Dissolved ionized solids, such as salts and minerals increase the electrical conductivity of a solution whereas dissolved organic solids, such as sugar, and microscopic solid particles, such as colloids, do not significantly affect the conductivity of a solution, and are not taken into account. 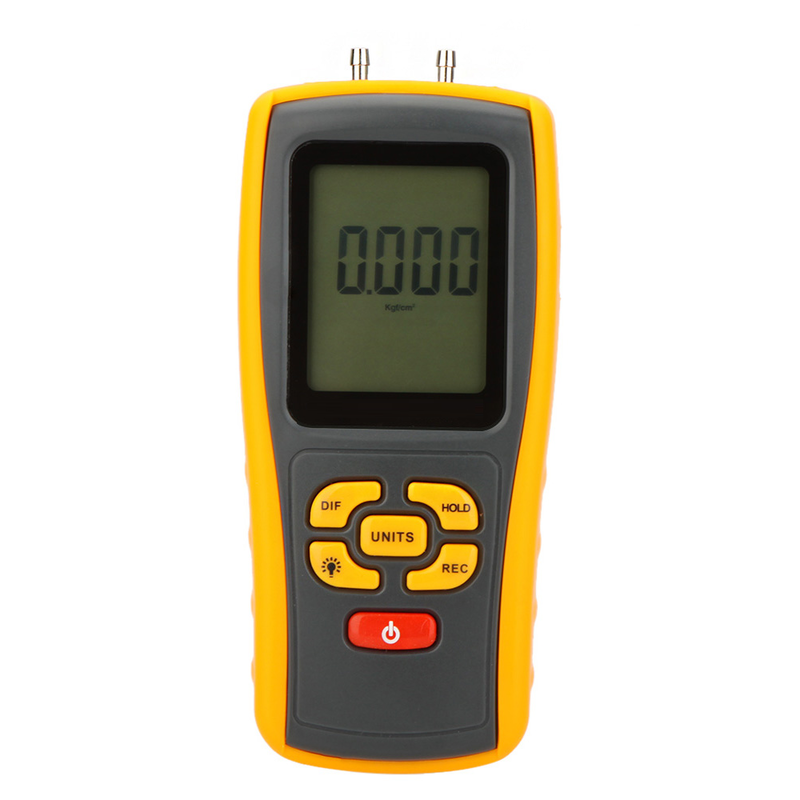 Devices are available which indicates both TDS and Electrical Conductivity. Usually TDS is calculated by converting the EC by a factor of 0.5 to 1.0 times the EC, depending upon the levels. The steam trap failure indicators are hand-held device for the detection of steam leaks through steam traps. These devices are used in conjuction with either a sensor chamber, complete with sensor, installed immediately upstream of a steam trap, or a steam trap with a built-in sensor. The system consists of a sensor chamber, sensor, steam trap failure indicator with indicator cable. It is advisable to install a sensor chamber assembly to each of the steam traps to be tested, whereas the portable steam trap failure indicator can be used to check all the sensor chambers installed. It is to be mentioned here that the sensor chambers should not be installed when superheated steam conditions can take place at the traps. 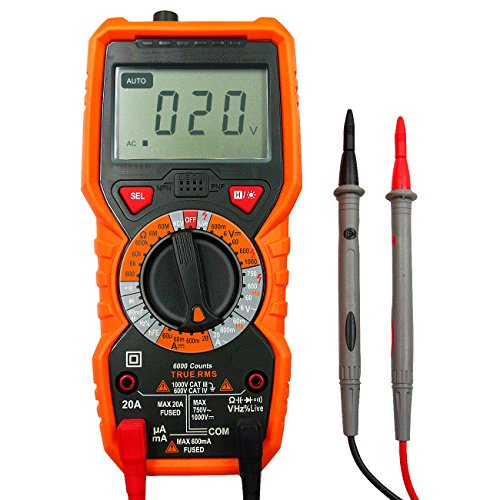 A digital multimeter is used to measure basic electrical parameters including voltage, current and resistance. Some variants include additional functions such as frequency, continuity etc. 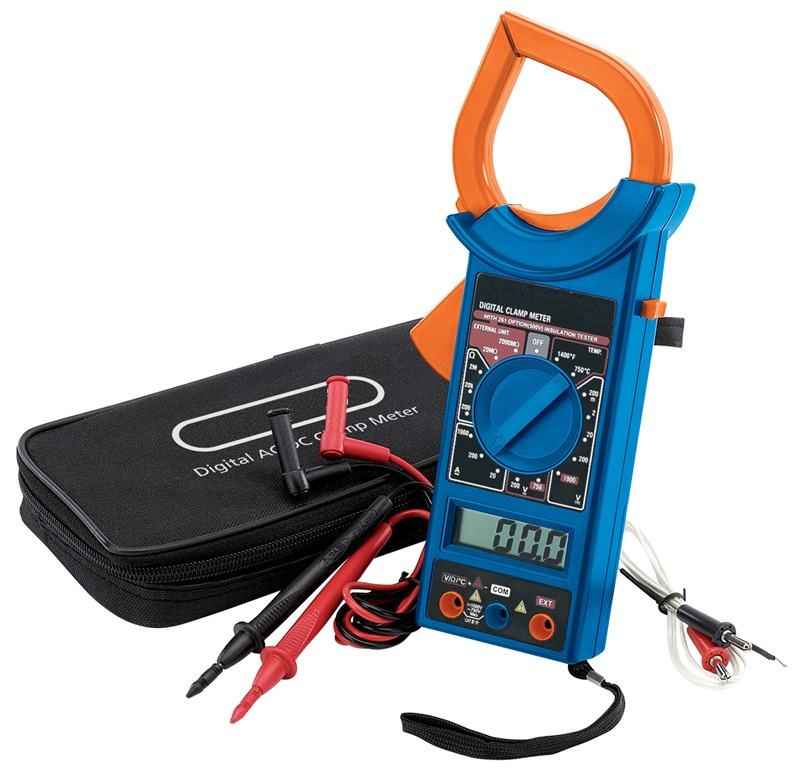 It is a standard diagnostic tool for technicians in the electrical/electronic industries to measure a variety of different parameters of an electrical circuit.